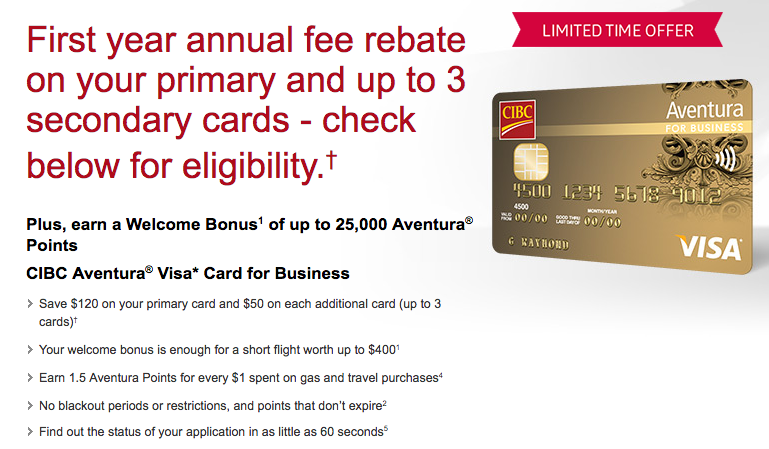 We added the CIBC Aventura Visa for Business card to our Business/Corporate card comparison chart! 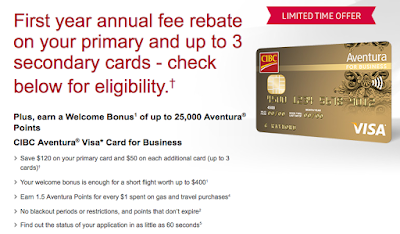 The chart needs a serious update for the rest on their but thought it was worthwhile to mention as the card right comes with a 25,000 Aventura Point sign up bonus and no annual fee in the first year for primary and up to three supplementary cards. See the details on the chart here! If you are planning on flying to Amsterdam or India from Toronto check out the new Jet Airways JetPrivilege bonus. You can earn up 10,000 bonus JPMiles on all their flights include those out of Toronto! Find out more here. 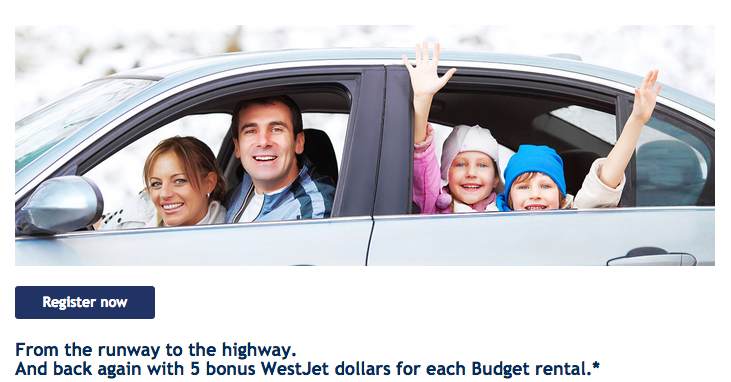 Another bonus to check out is the WestJet Rewards bonus for Budget car rentals, check out the link below in the Canadian Bonus Offers section.